Location! Location!Location! Light filled unit located in desirable West Hollywood NORMA TRIANGLE, steps from Sunset Strip and hip entertainment spots. Turn key corner unit features a sunny living room with surround system and fireplace for added ambiance, private balcony with hill views and surrounding greenery perfect for al-fresco dining. Beautifully laid wood floors throughout, recessed lights, crown moldings, surround system in living room, custom made shutters, custom wood interior doors. Chef's kitchen with new tiled flooring is equipped with stainless steel appliances, self closing custom cabinetry, granite counter and back splash, ample storage and generous counter space opens up to the living room and dining area creating an open plan feel. Master bedroom is spacious, light filled with a large, organized closet. Master bathroom offers a large vanity and walk in shower with a modern spa feel. Unit is fitted with a W & D hook up. Modern updated complex with amenities: sparkling pool and BBQ in a tranquil courtyard setting, laundry facilities, rec room, controlled access, 2 side by side secured parking and a large storage unit, low HOA with EQ ins. Yes, on days with clear skies you can see the Downtown skyline. At this super motivated price, this gorgeous unit is move in ready for the new owner to call home for the holidays! Lot Size: 0.56 Acres / 24379 Sq. Ft.
SchoolsClick map icons below to view information for schools near 8960 Cynthia Street #207 West Hollywood, CA 90069. Listing provided courtesy of Beatrice Stambulski, Compass. 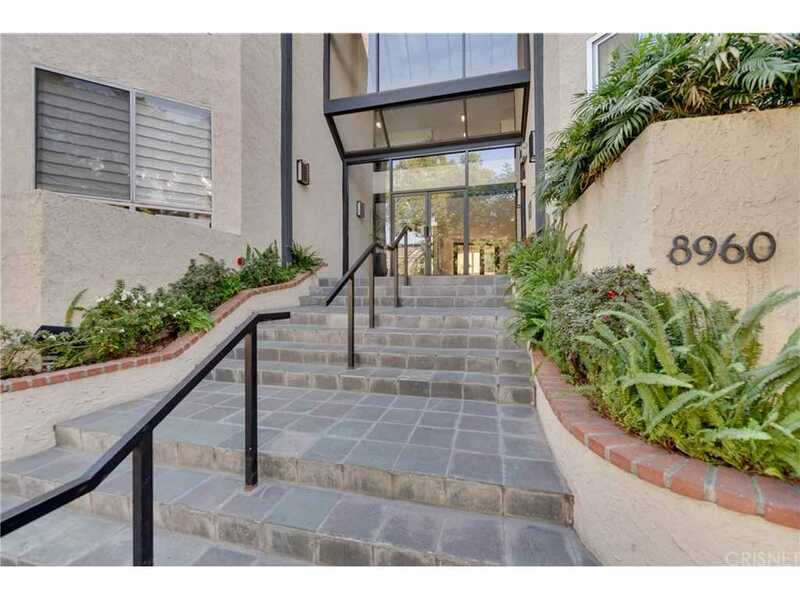 Home for sale at 8960 Cynthia Street #207 West Hollywood, CA 90069. Description: The home at 8960 Cynthia Street #207 West Hollywood, CA 90069 with the MLS Number SR18272260 is currently listed at $665,000 and has been on the West Hollywood market for 72 days. You are viewing the MLS property details of the home for sale at 8960 Cynthia Street #207 West Hollywood, CA 90069, which includes 1 bedrooms, 1 bathrooms and has approximately 789 sq.ft. of living area.